The cranes — one Demag AC 100-4L, three AC 130-5, two AC 160-5, four AC 250-5 and the CC 3800-1 —will be added to Crane Norway Group’s existing fleet of Demag and Terex cranes. 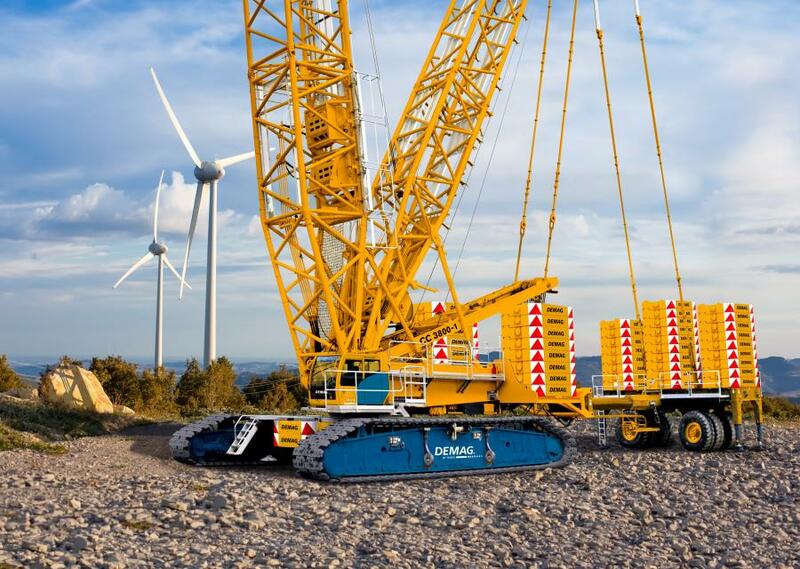 Norwegian Crane Norway Group has signed an order for 10 new Demag all terrain cranes, ranging from 110 to 275.5 ton (100 to 250 t) lifting capacities and a new 716.5 ton (650-t) Demag CC 3800-1 crawler crane. “We have a significant number of new Demag all terrain cranes in our fleet,” said Crane Norway Group CEO Trond Helge Skretting. “The Crane Norway Group has shown its continuous support and believes in the Demag line of products by ordering these cranes. They manufacture products that are of superior quality. The cranes — one Demag AC 100-4L, three AC 130-5, two AC 160-5, four AC 250-5 and the CC 3800-1 —will be added to the group's existing fleet of Demag and Terex cranes.